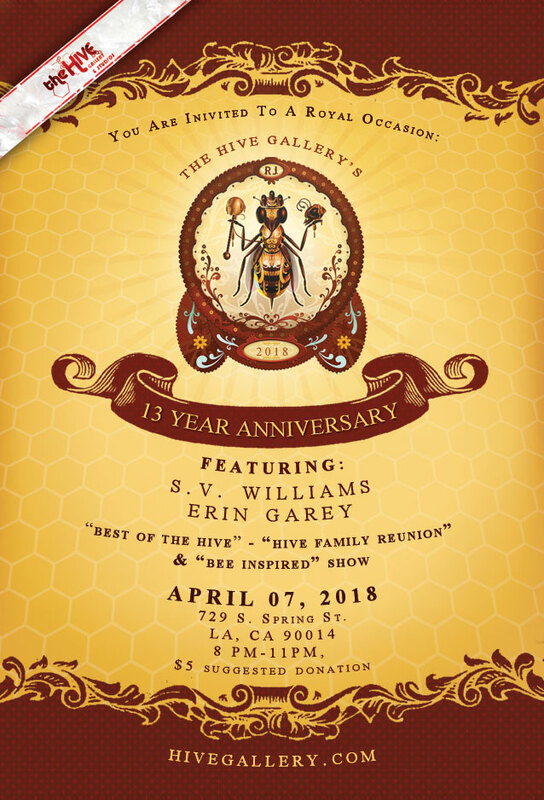 Showing work at the Hive Gallery’s 13th Anniversary show in two of three exhibits. This show is an opportunity for this gallery to feature a variety of artwork from some of the best featured and resident artists from the gallery’s roster. with over 150 artists exhibiting in 4 different themed shows!!! The First 100 attendees will receive a complimentary Hive Oclock News Episode 2 DVD! Plus, Hive Tarot 9 will be available for the first time! ZOLTAR: Come Get Your Fortune Told By Our Very Own Zoltar at the Show, brought to you by our Biggest Bee, Andrew McGregor!